Don't follow us on social media? Well you're really missing out. If you did then you'd know that we got a few minutes with a Mr. Kiernan Forbes. You may have heard of him? He's a rapper that has been on top of the local music industry for the better part of a decade now. He goes by AKA. We at ZAlebs.com got a chance to talk to him ahead of his upcoming #RoastofAKA on Comedy Central and Showmax. Watch as we talk answer a few of your questions about life, career, fatherhood and #OpenUpTheIndustry with the Super Mega himself. Don't forget to SUBSCRIBE to our channel for more! Are you in the Megacy? 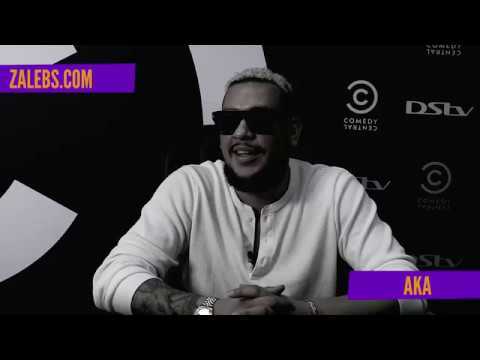 Keep up with all things AKA here.